Hitchcock has been the recipient of The Robert Rauschenberg Foundation Artistic Innovation and Collaboration grant, New York; Jerome Foundation Grant, Minnesota; the Creative Arts Award and Emily Mead Baldwin Award in the Creative Arts at the University of Wisconsin. Hitchcock’s artwork has been exhibited at numerous venues including the International Print Center New York, New York; Museum of Contemporary Native Arts, Santa Fe, New Mexico; Museum of Wisconsin Arts, West Bend, Wisconsin; The Rauschenberg Project Space, New York, New York; “Air, Land, Seed” on the occasion of the Venice Biennale 54th International Art at the University of Ca' Foscari, Venice, Italy; “Envisioning The Plains” Solo exhibition at the American Culture Center in Shanghai, Shanghai, China. 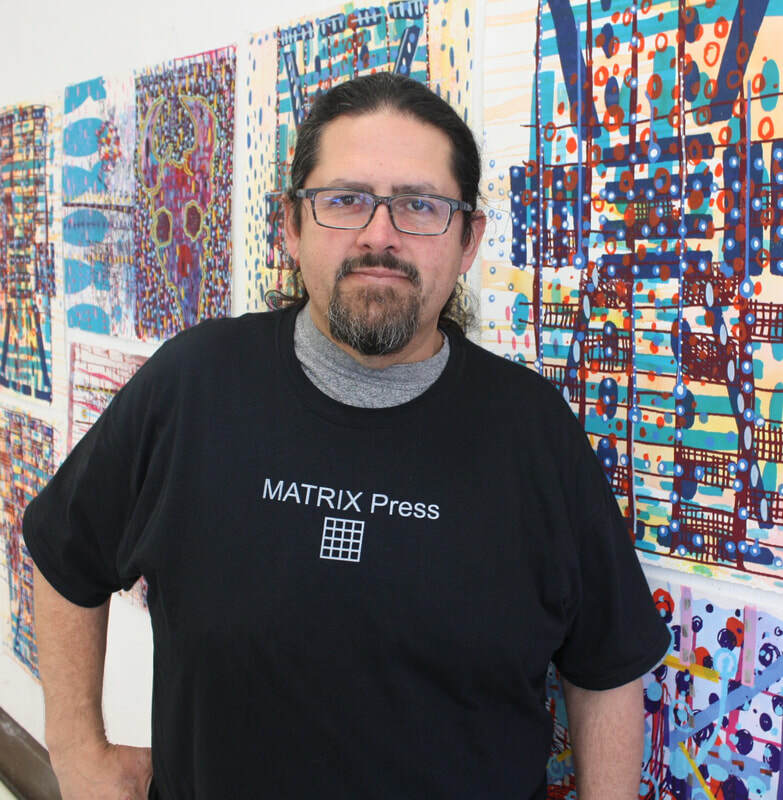 John was the third of four printmaking residencies that culminated in the 2018 exhibition at the Missoula Art Museum of works created at Matrix, surveying contemporary American Indian approaches to abstraction.